Mind blown. Soul corrupted. Absolute power has cast its spell. 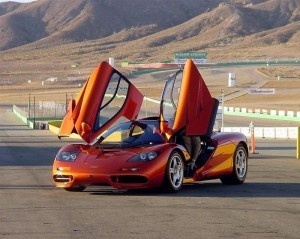 Welcome to the McLaren F1. Even today (2012), the F1 remains one of the fastest cars ever built. 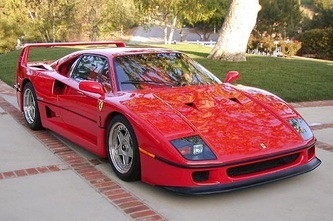 I still would rather have an an F1 in my garage than just about anything else ever created. It is that awesome. The screaming engine, the central driving position, the gullwing doors and much much more. A fun fact that most people don't realize is that while the Bugatti Veyron and a few other cars have since beaten the F1s top speed, all of those cars use forced induction. 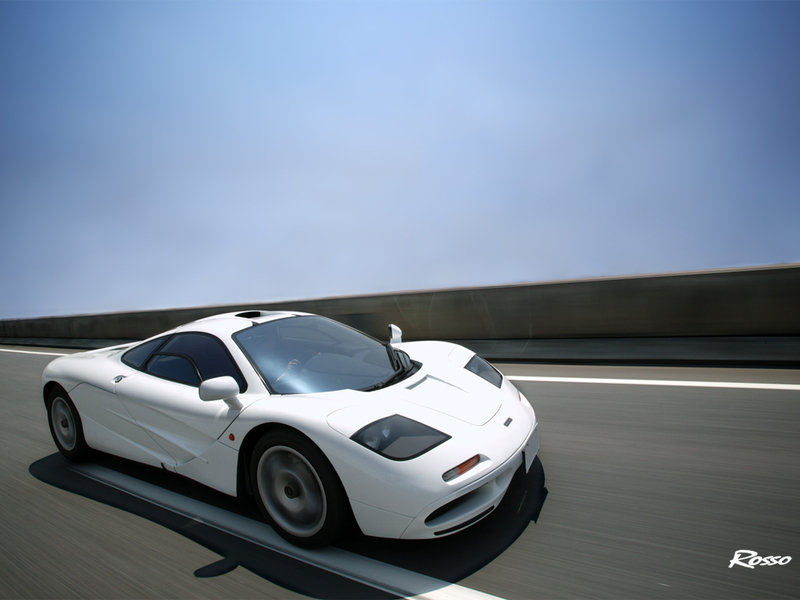 That means that the McLaren F1 is still (in 2013) the fastest naturally aspirated production car in the world. Not bad for a car launched in 1992. 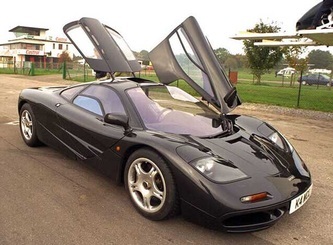 The McLaren F1 is a supercar designed and manufactured by McLaren Automotive, the same guys that run that incredibly successful Formula 1 team. Originally a concept conceived by Gordon Murray, he convinced Ron Dennis to back the project and engaged Peter Stevens to design the exterior of the car. The McLaren F1 debuted in 1992. It was the cost-no-object approach to building a car and was such a leap ahead in almost every imaginable way that it changed way we think about supercars forever. 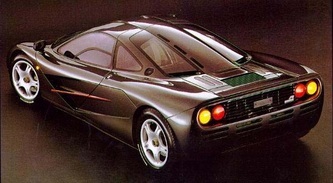 The McLaren F1 was a clean-sheet design, with all components except the tail lamps built specifically for it. The guiding principle was efficiency. Thus it is compact, with body panels and understructure of featherweight carbon fiber, and virtually every mechanical component of aluminum or magnesium. The obsession with weight was the stuff of legend. The Kenwood stereo, the air conditioning and the gold-plated titanium tools were all designed by their manufacturers to specific weight specifications that Murray has asked for. Completely customized for the F1 and so light that most parts manufacturers at the time were not sure they could meet the targets. Most people don't know that the F1 had a great racing history. 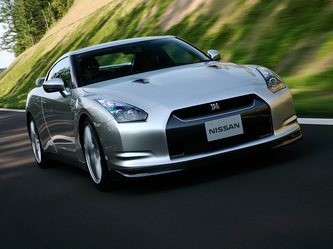 The 220-mph GTR competition version took first, third, fourth, and fifth overall against a slew of purpose-built racers and did so almost immediately after launching. It blew the competition away. 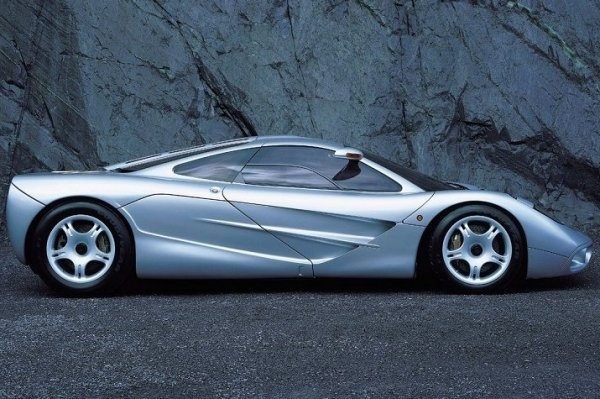 When production of the F1 ended in 1998, McLaren had given the world seven prototypes, seventy-two street-legal examples, and twenty-eight full-on race versions. The Sultan of Brunei owns eight or so, and untold numbers have been destroyed at the hands of over-exuberant owners. Long before I’m beyond urban limits, I realise where the mighty F1 is going to score over all its distant rivals: no matter what gear you’re in, or what the revs, the huge muscle of its fabulously potent and tractable V12 engine can be switched on and off like a light bulb. It’s that immediate. No wonder Murray eschews the lag-prone turbo. The harder you squeeze the F1’s throttle – and there always seems to be more movement, more revs, more decibels in reserve, so huge is the car’s performance envelope – the greater the ferocity, the more strident the noise. The world’s greatest road-car engine is right here, behind my back in the F1. Still we accelerate. Just 5.4 seconds later, a green up-shift light flashes, appropriately positioned at the 7500 rpm redline on the tach in the center of the instruments. Into fifth gear at 150 mph. Still no lessening of acceleration thrust. The car—squat, stable, a green limpet on the road—shoots forward. Maybe there's space before the corner to grab sixth at 180 mph. Maybe. No. My courage runs out, the sur­vival instinct takes over. Onto the brakes. I press hard, through the pedal's inert feel before they bite to blunt forward movement. 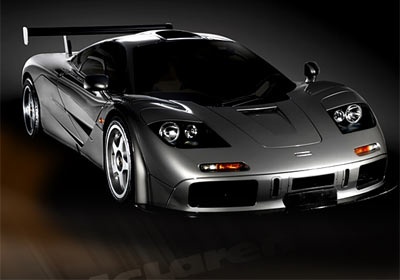 BMW Motorsports was contracted to design and build the engine, which McLaren specified be naturally aspirated for instant response. And they delivered in spades. The F1 has the best power-to-weight ratio ever in a production road car. Standard cars were good for 231 mph and it did this without the need for turbos or supercharging... or all-wheel drive, ABS, power steering or power brakes. Just amazing. Which is why the McLaren smashed just about every performance record for a production car ever, including top speed which was 242.96 mph (391.01 km/h) (with rev limiter removed). Another innovation at the time was the driver centrally located in a formfitting seat, with room for passengers on either side. The drive being placed centrally allowed for optimal command without intrusion from wheel arches or the nuisance of offset pedals and the best weight distribution, thus maximizing cornering speed. 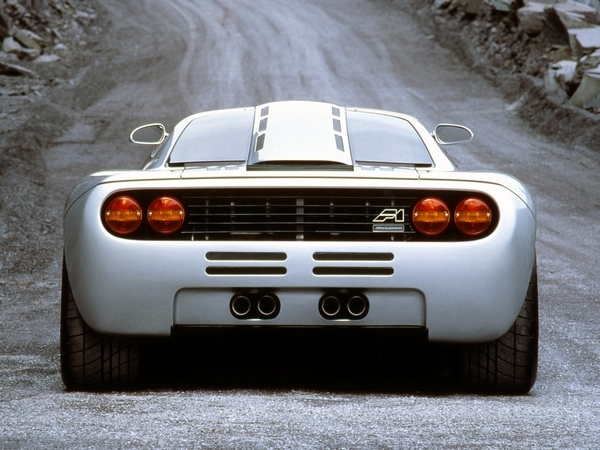 It also had small electric underbody fans that would generate ground-effects grip and an active rear spoiler that raised during hard braking to improve stability and slow the car faster. It was this attention to every detail that made the F1 the stuff of legend. Even the engine bay was not left along. Gold is the best heat deflector so Murray lined the F1 engine bay with gold leaf. There were no compromises. The McLaren F1 with the BMW S70 engine had a 0-60 mph time of 3.1 seconds and a top speed of 240+ mph. 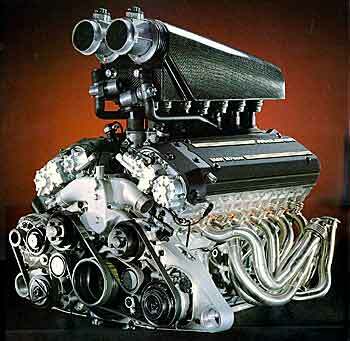 Powering the McLaren is a quad cam, 48-valve, 6.1-litre BMW V12 engine with variable valve timing. 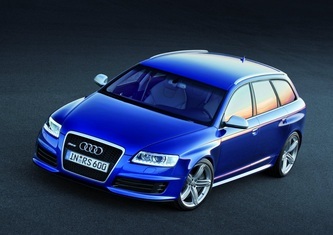 It produces a staggering 627 bhp. The F1's engine uses competition inspired dry sump lubrication. More complex than a conventional wet sump, it shaved vital inches from the oil pan, allowing the engine to be mounted lower. Later on, the McLaren F1 LM had a few engine upgrades that took the LM model up to 680 hp and 520 ft-lbs of torque! 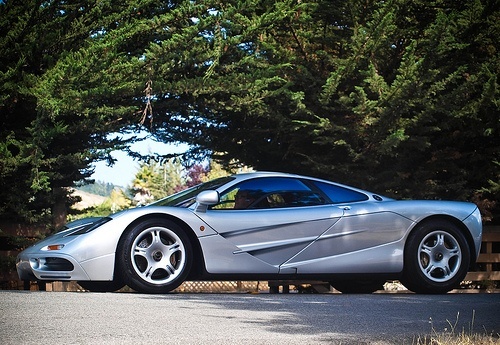 Issued in honor of the McLaren F1's that won the 1995 LeMans race, the LM's set a 0-100-0 mph world record for a production car. 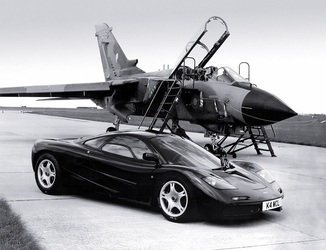 On 31 March 1998, Andy Wallace set the record for the fastest road car in the world, topping at 231 mph (372 km/h) with rev limiter on, and 242.95 mph (391 km/h) with rev limiter removed. Many still believe that with better gearing (inclusion of a 7th gear) the McLaren was capable of even higher speeds. Drivers who got the McLaren up to top speed said the car was still pulling and only gearing stopped them for achieving more. Even today (2012), the F1 remains one of the fastest cars ever built. A fun fact that most people don't realize is that while the Bugatti Veyron and a few other cars have since beaten the F1s top speed, all of those cars use forced induction. 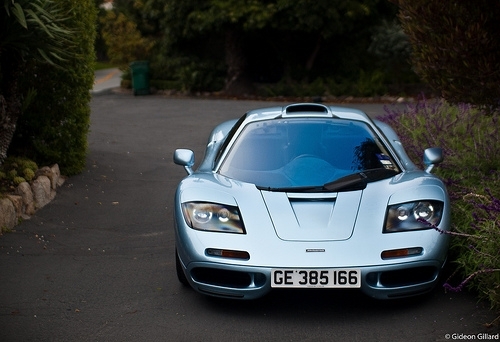 That means that the McLaren F1 is still (in 2012) the fastest naturally aspirated production car in the world. 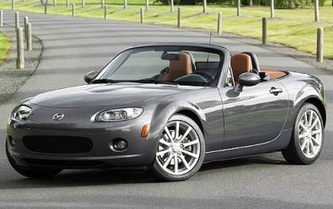 Not bad for a car launched in 1992. "Long before I’m beyond urban limits, I realise where the mighty F1 is going to score over all its distant rivals: no matter what gear you’re in, or what the revs, the huge muscle of its fabulously potent and tractable V12 engine can be switched on and off like a light bulb. It’s that immediate. No wonder Murray eschews the lag-prone turbo. 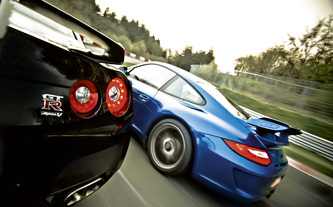 The harder you squeeze the F1’s throttle – and there always seems to be more movement, more revs, more decibels in reserve, so huge is the car’s performance envelope – the greater the ferocity, the more strident the noise. 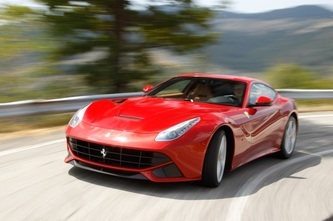 No Ferrari V12 gets close for aural uplift, never mind for sheer, pulverising power. The world’s greatest road-car engine is right here, behind my back in the F1. 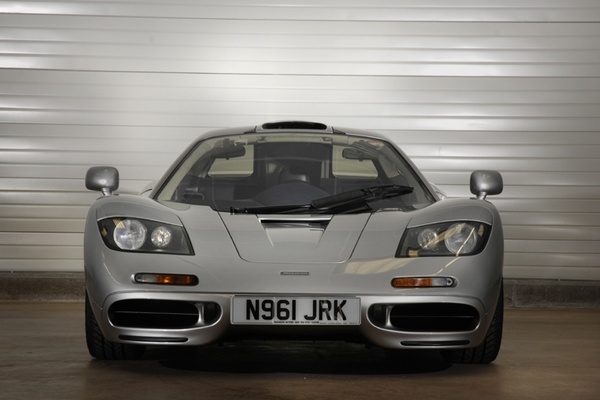 It was the McLaren’s maximum that made the headlines, but it’s the car’s breathtaking acceleration that frightens and thrills. 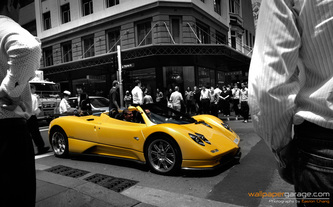 Nothing, but nothing gets anywhere close to this car, which has the world’s best power-to-weight ratio. 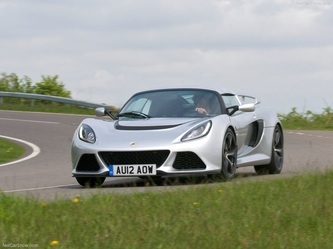 Even now, I’m not sure which is the more addictive: the slingshot thrust when you slash through the gears, left leg and right arm pumping like pistons, (Palmer had warned that shifting was lightning-fast), or the breathtaking sound effects that go with it, terminating in a Formula One-style demented yowl. Who needs anti-lock brakes, for that matter? 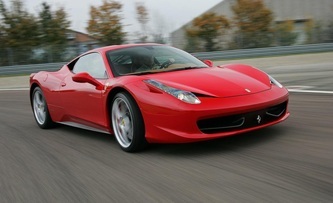 Passengers gasped at the way the F1 stopped in its tracks, as though arrested by some mighty elastic hawser. Little did they know how hard I was heaving on the pedal. Never mind. The heavier the brakes, the easier it is to modulate them. 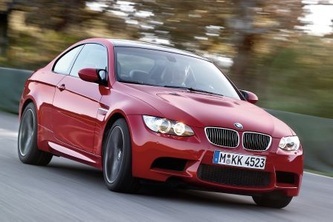 Heel-and-toe downshifts are also facilitated by a solid brake fulcrum. Unless you look out for it in the mirror, the levitating rear spoiler – a brake and balance foil in McLaren-speak – that pops up to stabilise the car under high-speed braking goes unnoticed. It’s the only surface-breaking aerodynamic aid on the F1, which achieves downforce via a fan-assisted ground-effect system."